The Holiday Season is upon us once more. (Wasn’t it just Halloween a few days ago?) This is definitely a time of year that evokes a number of responses – excitement and happy anticipation for some, worry and even feelings of dread for others – and plenty of emotions in between. Most people are fairly clear where they are on this continuum. But it seems that when addiction is thrown into the mix, feelings of anxiety reign supreme – often over the months and weeks preceding the actual holiday. Every year in my private practice, I notice many of my clients get more and more anxious the closer we get to the holiday season. For those who struggle with addiction, there are a multitude of reasons why they may feel that anxiety. If they are newly clean or sober, they may wonder if they’ll be able remain that way – even when they may desperately want to. 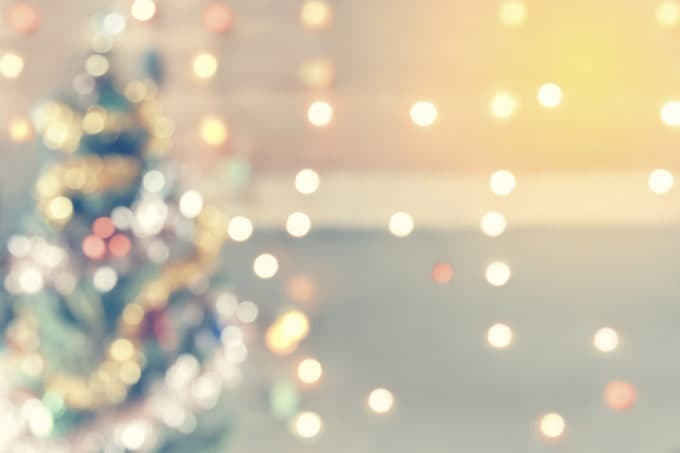 Those who are still using mind-altering substances may feel more vulnerable and lonely at this time of year, which, ironically, may have been the very circumstances that initially led to substance abuse. Many other types of addiction can flare at this time of year, as well. Those with gambling addictions may be tempted to place even more bets in the hope that “just one big win” can buy presents for their families. Compulsive shoppers are at risk of falling into the ever-present trap of overspending, particularly when Christmas ads start appearing in October. People with eating disorders often have tremendous difficulty at family gatherings, while Internet or gaming addicts may just want to remain in their isolation, even as they are heartily encouraged by friends and family members to come join the festivities. This time of year can be equally challenging for the loved ones of people with addictive behaviors. They could be struggling with the difficult decision of whether or not to invite the addict they love to their gathering – and the repercussions of that decision. Loved ones are often fearful of conflict or confrontation with the addict in their lives, and that grave anxiety can prevent them from rocking the boat. This can lead to them just putting up with the status quo, even though they know the pitfalls of making that choice. Doing the same thing over again (while desperately hoping for different results) can lead to yet another ruined family celebration. What generally adds to the stress and anxiety that loved ones feel is putting their own needs last. This default behavior is exaggerated during this time of year as they attempt to ensure that everyone enjoys the holiday season – even if they themselves won’t. Whether you’re an addict in active addiction, an addict in recovery, or the loved one of someone struggling with an addiction, here are three strategies you can use to help you enjoy this holiday season. Christmas and chaos go hand-in-hand. To-do lists are long and expectations are high, particularly when we are bombarded with propaganda depicting the perfectly decorated Christmas tree surrounded by the perfect gifts, the perfectly cooked turkey paired with the perfect wine, waiting for the perfect families to gather around the perfectly set table…all making us feel a whole lot less than perfect when we look at our own realities. Until we become aware that most families do not fit into that “perfect” mold, we are led into the trap of pursuing that kind of holiday, year after year. All we need to do to qualify for this perfection is work our fingers to the bone, buy lots more than we could ever need, and ensure that our home is beautifully decorated inside and out. Can we say “set-up”? To alleviate this potential chaos, lower the bar and have realistic expectations. In spite of all your planning and preparations, be prepared for the unexpected and understand that your well-intentioned blueprint might end up changing. And remember to keep your sense of humor – with yourself and with others – if plans go awry, as they likely will! We are inundated with that BUY! BUY! BUY! hype on a regular basis and even more so at this time of year. While gift giving can make us feel good, deep inside we know that the amount of joy and happiness we feel around Christmas is in no way related to how much we buy. In my family growing up, there was always a huge, excited lead-up to the annual gift exchange. But, because of our family dysfunction, that positive glow didn’t last long. Once the crumpled giftwrap hit the floor, we went right back to doing our own thing with very little interpersonal connection. The warm, loving family moment lasted for about twenty minutes – at the very most. Being realistic about your own family dynamics provides you with the opportunity to remain holistically healthy and resilient during the holiday chaos. Explore your own values and priorities to decide what is truly important to you instead of being swept up by the hype – because it’s not about what you buy, it’s about what you buy into. As mentioned, our to-do lists are typically longer at this time of year. There are trees to decorate or menorahs to set up, cards to write, post or email, parties and gatherings to attend – some of them obligatory – and the list goes on. Ask yourself if there are any options for reorganizing your obligations and whether you can delegate a portion of your to-do list, or pass up on some of those items entirely. 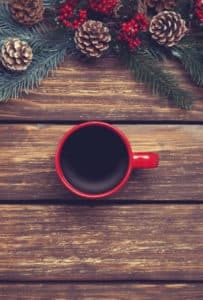 You may be familiar with the K-I-S-S principle, which in 12-Step programs means “Keep It Simple, Stupid” – although I prefer to replace the last word with “Sweetie.” These are always wise words to keep in mind throughout the year, but they are especially important and relevant during this season. What do I need to do for myself in this moment? Am I hungry? Is my blood sugar low? Am I angry, hurt, sad, or confused? Is there an unresolved emotional issue that I need to deal with or talk to someone about? Am I lonely? Do I need to connect with friends and/or make plans with my partner or my BFF? Am I tired? Do I need a nap or to adjust my bedtime? What would help me relax so that I can more easily fall asleep? Do I need to consult with my doctor or naturopath for any chronic sleep issues? Keep your expectations realistic, be aware of what you’re choosing to buy into, and above all, take the very best care of yourself that you can. I’m wishing you all a Holistically Happy and Healthy Holiday and a Wonderful 2017 to come!